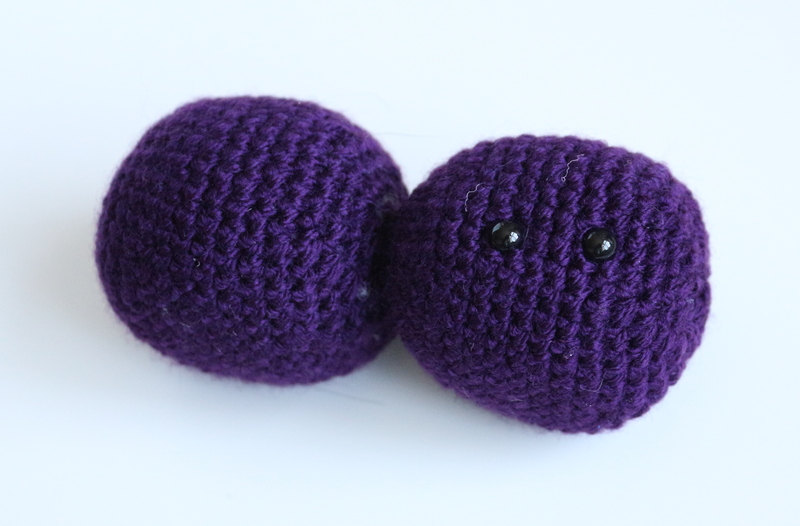 Ok, so it’s not quite in line with the aforementioned quest as it is not embroidered, but I figured any crafted organism counts! 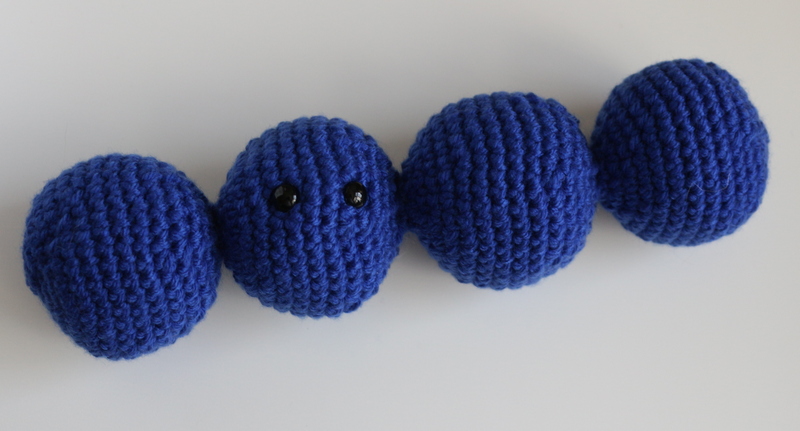 These little guys are more in line with my cute little crochet Campylobacter, but instead of a twirly rod with flagella, Streptococci are made up of chains of cocci (spherical cells). Streptococci form chains rather than clusters like Staphylococci, because they divide only in one plane instead of three. 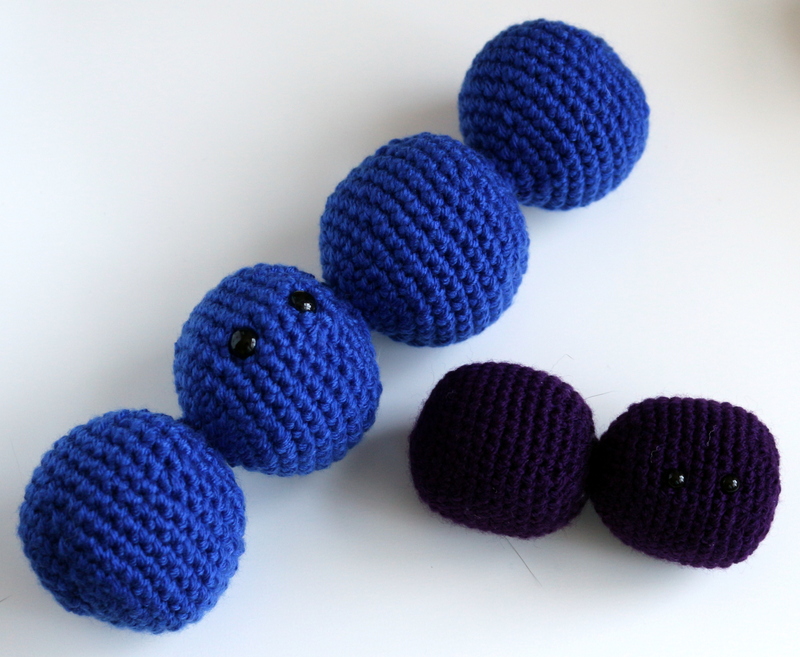 These guys represent two variations of Streptococci, the blue guy represents a short chain Streptococcus, such as Streptococcus pyogenes, whereas the purple one represents a specific species called Streptococcus pneumoniae, which consists of slightly oval shaped cells that tend to form diplococci (see below). Anyway, to make them I searched for a simple crochet pattern for a ball shape on Ravelry and came across one by Erin Douglas. You can find it on Ravelry here, or on her website here. This pattern I modified to make the two variations. Short chain Streptococci: follow the pattern as described, but on R15, instead of tying off, go back to R2. Form 4 connected balls in this way, then finish off. The balls were each filled using soft toy fibre fill at R14 in the pattern repeat. The eyes were put in in the second ball, between R6 and R7, and R10 and R11, on the opposite side to the first stitch in each round. I worked them in worsted weight yarn, and a 4mm hook, same as in the pattern. 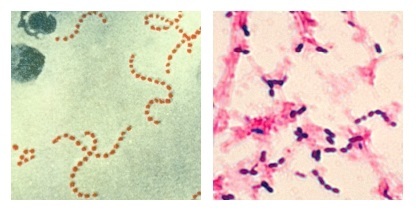 Pneumococci: Follow as described, but increasing the number of repeats from 4 to 8. Again, on R15 (or what would be R15 if not for increasing the repeats to 8) , instead of tying off, go back to R2. Form 2 connected balls in this way, then finish off. The eyes were put in in the second ball, between R8 and R9, and R12 and R13, on the opposite side to the first stitch in each round. This guy is made using DK yarn, and a 3mm hook, so is somewhat smaller than his friend! Oh dear oh dear…… This is a sad state of affairs.